This photo was included with a package that the U.S. Coast Guard sent me when I requested information about Rittichier. 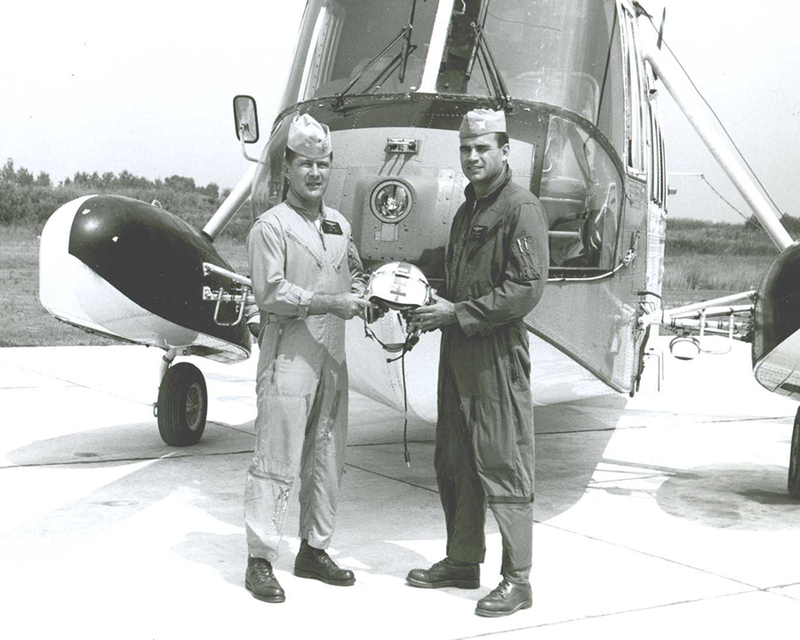 Mixon, also a Coastie, and Rittichier were good friends, and both were part of the exchange program where they piloted helicopters with an Air Force crew. Mixon lives near where my grandmother used to live in Alabama, and in fact, played golf with her on numerous occasions. This was a fact I learned after Rittichier's return. A few years later, I contacted Mixon, asking if he would be willing to meet. He was. We only spent maybe an hour together, but it was a pleasurable visit and one I was thankful happened. Return to "Defining A Hero"